Innovation is everywhere. From the tech sector to our education systems, and politics, being innovative has become a requirement for being competitive. Innovators have given us the world we live in today, and it’s incredibly exciting to think of where innovation will take us tomorrow. Through the work we do at alliantgroup we have had the privilege of working with so many innovative and forward-thinking American businesses. In conversations with these business owners, we’ve been inspired to unpack just how much of an impact this concept is having on our economy and the world. The result? 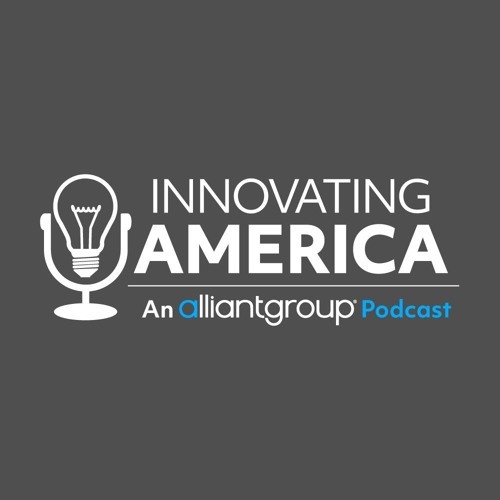 Our new podcast, Innovating America. We’re excited to start this conversation with you and hope you enjoy the discussion.